Coeus was once an important god of the Ancient Greek pantheon, for Coeus was a first generation Titan, and therefore, at one point, one of the rulers of the cosmos. Later, the rule of the Olympians would overshadow that of the Titans, but Coeus would still be famous as the grandfather of important Olympian deities, Apollo and Artemis. Coeus was a first generation Titan being the one of the six sons of Ouranos (Sky) and Gaia (Earth). The brothers of Coeus being Cronus, Crius, Hyperion, Iapetus and Oceanus. Coeus also had six sisters, Rhea, Mnemosyne, Tethys, Theia, Themis and Phoebe. Coeus comes to prominence when the Titans, cajoled by Gaia, overthrew their father. When Ouranos descended from the heavens to mate with his wife, Coeus, Hyperion, Iapetus and Crius held their father down, whilst Cronus castrated him with an adamantine sickle. Where Coeus held Ouranos down was considered to be the northern corner of the earth, hence Coeus was regarded as the Pillar of the North; Hyperion being West, Iapetus, East, and Crius, South). The Titans, under Cronus, would subsequently rule the cosmos, and this was a period known as the Golden Age of Greek mythology. Coeus’ name can be translated as “Questioning”, and as such, the Titan is regarded as the Greek god of Intellect and the Inquisitive Mind. Working with Phoebe, goddess of the Prophetic Mind, Coeus would bring all knowledge to the cosmos. As well as being considered to be the North Pillar, Coeus was also the personification of the celestial axis around which the heavenly bodies revolved. This point was known as Polos, another name of Coeus, and was marked in antiquity, by the star Alpha Dra in the Draco constellation, a star which at one point, 5000 years ago, was the North Star. This link with the heavens suggest that Coeus might have had a connection with heavenly oracles, just as his wife Phoebe was connected to earthbound oracles, especially at Delphi. 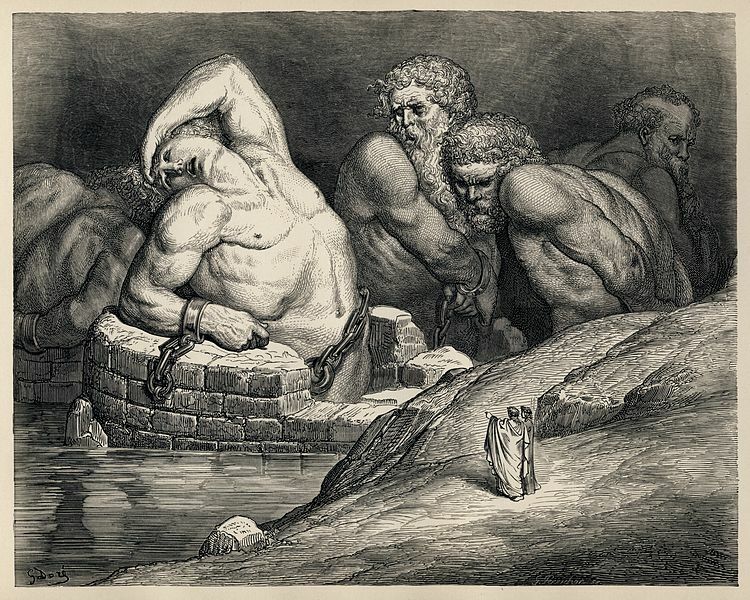 The rule of the Titans would come to an end during the Titanomachy, when it was said that Coeus fought alongside his brothers against Zeus and his allies. Zeus would of course emerge victorious in the war, and as punishment Zeus cast Coeus, and many other Titans, into the underworld prison that was Tartarus. A late myth which appears in Argonautica (Valerius Flaccus) tells of Coeus attempting to escape from Tartarus, with the Titan even managing to break his adamantine shackles. Before he can get far though, Cerberus and the Lernaean Hydra capture him once again. Coeus is said to be father of two daughters Leto and Asteria, and possibly one son, Lelantos, all born to Coeus’ wife, Phoebe. Thus, via Leto, Coeus was grandfather to Apollo and Artemis, and by Asteria, he was also grandfather of Hecate.